Just yesterday we had HAX mentor & manager Alan Clayton praising female founders and here we have another startup, led by women, that's joining HAX's program. DAZL is a startup from Gurgaon, India founded by Aditi Chadha and her mother, Anu Chadha, to use connected tech to keep women safe. 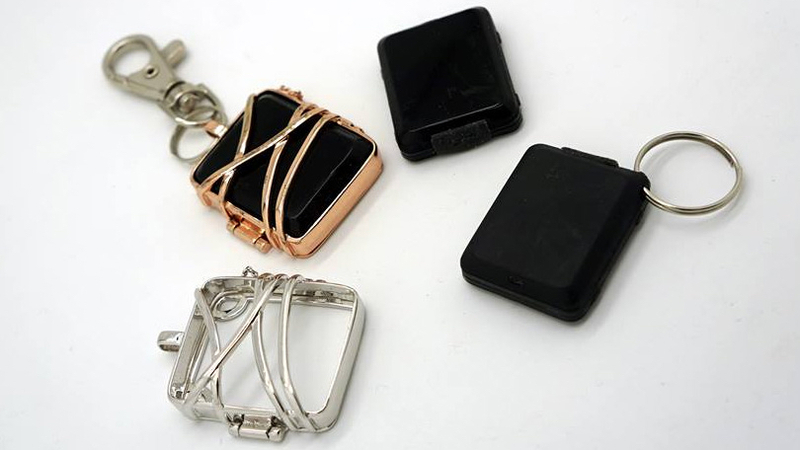 DAZL's modular device can be worn as a pendant on a necklace, keychain, brooch, handbag accessory or kept in a pocket. When the wearer presses the button, it triggers a message to send your GPS location to friends and family as well as emitting a loud alarm. The safety wearable, which DAZL says is ready for mass production, also features a bunch of features we've seen in previous smart jewellery. These include the ability to receive haptic alerts for filtered smartphone notifications, a selfie button and an alarm if your phone goes out of range. The product page also mentions 'key notifications on women's health' though we're not sure what this means yet. Battery life is an impressive 45 days on one charge and it works with iOS and Android phones via Bluetooth LE. We've no word on price or global availability yet but DAZL does look larger than rival safety jewellery so we'd guess it will be affordable. The startup plans to both sell its own design online and partner with existing jewellery companies. DAZL will now take part in an eight week HAX Growth boot camp and receive $100,000 from the San Francisco based accelerator. It is also one of 85 teams competing in the $1 million Women's Safety X Prize which could see a wearable tech winner in June 2018.